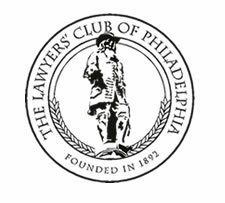 The Reception for the Judges of the Court of Common Pleas and Municipal Court of Philadelphia will be preceded by a one hour ethics CLE. The subject will be Ethical Issues Arising in Trial Practice. It will be conducted in a roundtable format. The faculty for the CLE will be The Honorable Anne Lazarus of the Pennsylvania Superior Court, and The Honorable Leon Tucker of the Philadelphia Court of Common Pleas; attorneys who will be participating are: Francis Devine (Pepper), Michael Turner (Marshall Dennehey), and Roy DeCaro (Raynes McCarty). The roundtable will be Chaired by Lawrence Brown of Brookman, Rosenberg, Brown and Sandler. The CLE will begin at 4:15pm and will conclude at 5:15pm. The Reception will follow beginning at 5:45pm.